Blessed Dark of the Moon! This is the time when I honor Hecate, goddess of the crossroads. I have a deep connection with this goddess and make a point to celebrate Her during the Dark of the Moon – which I mark as the day/night before the New Moon or the New Moon itself. My plan this month is to leave a “Hecate Supper” out. This consists of a food left out, generally at a crossroads as an offering to Hecate. In anchient times, these meals actually became meals for the poor. Some months I leave food, like I will tonight, other I’ll donate to a food pantry or volunteer at the local shelter. Hecate cares for those at and on the crossroads, and as her daughter, so do I.
I’ve been thinking about the Tarot as of late, so I thought I’d share some of my feeling about the Hanged Man. 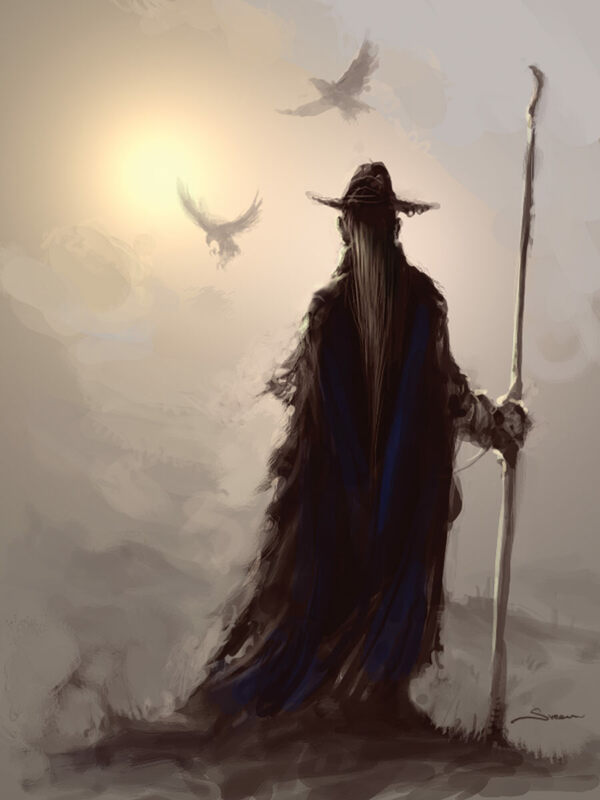 I’ve always felt called to Odin, the most common myth associated with the Hanged Man. So, I think now is a good time to focus on this card and what it means to me. The Hanged Man is about decision making – namely the decision to sacrifice yourself for yourself. The Hanged Man sacrifices himself and gains wisdom and insight as his reward. This is why the story of Odin on the World Tree shows this so well. Odin hung upon the World Tree, Yggdrasil, for nine days and nights. He was a sacrifice unto Himself, seeking wisdom and knowledge from Well of Wisdom. From His sacrifice came the Runes – the gifts of magic and writing. He also sacrificed one of His eyes for a drink from Mimir’s well, giving Him great fore-sight.